‘It is extremely disappointing that the Supreme Court has refused Noel Conway permission to have his case heard. Citizens who are terminally ill or incurably suffering should be able to die with dignity at a time and manner of their choosing and the Court’s decision robs Noel of the chance to challenge this most pernicious of laws. The Supreme Court has today published its order refusing Mr Conway permission to appeal along with reasons for the decision. The written reasons do not set out weights the judges gave to different factors in concluding that permission should be refused. In particular, one part of the document (paragraph 3 of the reasons) might be construed as to suggest that refusal was in part due to the nature of Mr Conway’s condition. The judges wrote that Noel could refuse consent to continue his non-invasive ventilation, whilst being simultaneously sedated. My Death, My Decision’s Coordinator, Phil Cheatle, discusses the recent documentary by Louis Theroux and the implications it raises for the US Oregon Model. The BBC2 documentary by Louis Theroux, “Choosing Death”, which aired on Sunday 18th November 2018 and is available on iPlayer until May 2019, showed examples of the Oregon/California right to die law in action. The Oregon model, which is now available in seven US states, has proven itself to be an important first step for the right to die. However, as “Choosing Death” demonstrated, it leaves considerable room for improvement in how people can be helped to have a better and safer assisted death. Four apparent weaknesses of the Oregon model, highlighted in the programme, are discussed below. 1) Improved safety of handling lethal medication. The Oregon law does not involve medical professionals in the supervision of lethal medication. Once accepted as meeting the legal criteria the patient is given a prescription for the medication which they keep at home. Leaving lethal medication in the unsupervised hands of non-medics seems potentially dangerous. 2) Improved counselling and support prior to using the prescribed medication. The film showed the difficulty of reaching a decision on the exact timing of when to use the lethal medication. This will always be difficult, especially for those with close family who are coming to terms with an inevitable loss. What appeared to be missing was independent professional counselling that might help families reach a shared agreement. This was portrayed strongly in the case of Gus, a 74 year old man with stage 4 pancreatic cancer. Eventually he and his family reached a decision which balanced both Gus’s need not to suffer indefinitely and his family’s need not to lose a husband/father too soon. Both Gus and his family clearly wanted to take the feelings of the others into account. MDMD believe that professional counselling should be available throughout the process of an assisted death, to help an individual and their families discuss concerns that often feel uncomfortable to talk about. For example, whilst there is concern that families may sometimes pressure vulnerable people to end their lives prematurely, “Choosing Death” demonstrated that the inverse is also true when families feel uncomfortable accepting that a loved one wants to die, and are coming to terms with the loss they will feel. MDMD believe that a dying person needs to reach their own decision on timing, taking the views of their loved ones into consideration, but without feeling pressured. With appropriate training, good consultation should be able to ensure this happens. The eventual decision needs to be based on best medical advice on likely future quality of life, and a full exploration of all palliative care options as the situation develops. The family may need a facilitator to ensure that they understand and respect each others points of view, but do not pressure or coerce the dying person either to prolong or shorten life. Ideally these discussions should be built into the palliative care process, as happens in Belgium. 3) Without the option of a medically assisted death, those suffering from non-terminal medical condition, which reduce their quality of life permanently below the level they can accept, are forced to request unsafe alternatives. The lack of professional counselling was particularly apparent in the case of Debra, a 65 year old, in a wheelchair, with early stage dementia-like symptoms. Her husband had died 5 months earlier, leaving her with no other close family. Debra’s condition was not covered by the Oregon-style legislation, so she had no professional medical assistance in her decision. Instead Debra contacted the Final Exit Network, (FEN), who provided two unregulated amatuer “guides”. The guides seemed well-meaning and compassionate and provided verbal advice which helped Debra end her life herself, using equipment she purchased online. Debra’s situation and death, demonstrates a significant failing in the Oregon care system. Her case raises a number of questions such as: Were all available choices adequately explored? Should people be driven to well-meaning amateurs for information on how to end their lives? her decision was not something which would change if she received adequate support to adjust to her changed circumstances. The Final Exit Network clearly provided some form of valuable consultation, in the absence of alternatives. However, end of life situations are invariably complex and require trained professional involvement to help individuals reach the decision that is right for them. It seems that the Oregon model could be improved in this respect by providing an assisted dying option for those like Debra. Whilst MDMD is sympathetic to Debra’s case and is grateful Debra could avoid a traumatic method of ending her life, her reliance upon the Final Exit Network demonstrates the need for a better law in Oregon. 4) Use of intravenous delivery of lethal medication to significantly reduce the time to die and increase the reliability of medically assisted deaths. The final segment of the programme showed Gus and his family after Gus swallowed the lethal medication which he was prescribed. Although he appeared to be sleeping comfortably, the death took 7.5 hours. To investigate the time that life-ending oral medication can take to end life MDMD contacted Dr. Erika Preisig, President of Lifecircle in Switzerland which offers medically assisted suicide to foreign nationals. She told MDMD that the longest duration of death by oral assisted dying she was aware of was 26 hours. (A case of pancreatic cancer where a patient can have a lot of stomach water (Ascites), which makes the uptake of the medication very slow.) Dr Preisig explained that at Lifecircle, whenever possible they use an intravenous method where the patient controls a valve to start the flow of the medication which will end their life. (It is required by Swiss law that the patient self-administers the lethal medication.) Dr Preisig told us that using this method the time taken to die is “always the same, 30 seconds to fall asleep, and 4 minutes to die. No coughing, no vomiting, no pain at all”. Dr Preisig has assisted 386 people to die using this method. MDMD conclude that this seems a far preferable method than that used in the USA. Louis Theroux’s documentary raised important questions about the Oregon model. For over 20 years, Oregon has been taken as an example for legislation elsewhere, both within the USA and around the world. MDMD believe it is an important first step, but that several issues remain unresolved by the Oregon-style approach. It is important to discuss these issues and learn from not only the Oregon experience but also other countries such as Switzerland, Netherlands and Belgium in any future attempt at changing the UK law. There is ongoing debate in both Oregon and Canada as to what improvements may form the next step, particularly regarding degenerative diseases like Debra appeared to have. MDMD watches with interest as this will inform what might one day happen in the UK. The post Assisted Dying in the USA, A Good First Step But Room for Improvement appeared first on My Death, My Decision. Assisted dying campaigner Noel Conway, who has motor neurone disease (MND) and wants a change in the law to allow assisted dying in the UK, has taken his case to the Supreme Court today. Noel, a 67-year-old retired lecturer from Shrewsbury and a member of Humanists UK, suffers from terminal MND. Noel is campaigning to change the law and wants the right to die if his condition worsens to the point that he has six months or fewer to live. The permission hearing for his case was held at the Supreme Court and Noel is now awaiting the outcome of the decision. Humanists UK, which is supporting Noel’s legal bid, will apply to intervene in the upcoming case if the court grants permission, as it did at the High Court and Court of Appeal. Humanists UK campaigns to legalise assisted dying across the UK for people who are terminally ill or incurably suffering and who have made a clear decision, free from coercion, to end their lives. 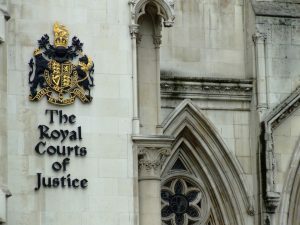 Lawyers acting for Noel have argued that the current law is an intrusion into Mr Conway’s right to privacy and therefore incompatible with the Human Rights Act 1998. MND is a progressively degenerative condition in which a person’s muscles weaken and they struggle to grip, walk, speak, swallow, or breathe. Noel himself is currently dependent on a ventilator to breathe for nearly 20 hours a day. The case comes almost two months after the death of Omid T, a Humanists UK member who was forced to travel to Switzerland to die with dignity while awaiting his High Court case. Humanists UK Chief Executive Andrew Copson said: ‘Noel hopes to establish that all people who are terminally ill must be able to make their own choices about how they want to die and to have these choices protected by law. We are proud to support Noel’s case. Nancy Collins, Partner at Hodge Jones & Allen, who represents Humanists UK, said: ‘We welcome today’s permission hearing by the Supreme Court. We hope that permission will be granted and that the Court will swiftly consider Mr Conway’s case that he should be allowed to choose the manner and timing of his death. We continue to represent Humanists UK who have long campaigned for the right to assisted dying. Noel Conway is being supported by campaign group Dignity in Dying. The post PRESS RELEASE: A New Documentary Has Explored the Realities of Oregon’s Assisted Dying Model appeared first on My Death, My Decision. In October 2018, the National Secular Society and the Secular Medical Forum held a joint conference on Healthcare and Secularism. The final two talks concerned assisted dying and the right to die. Both talks were excellent. Videos of the talks are available on YouTube and are embedded here with some description and comments. 1. Dr. Jacky Davis – An Update on Assisted Dying – One hundred million people now have access to it, why can’t we? Jacky Davis is the Chair of Healthcare Professionals for Assisted Dying (HPAD). Jacky is also a consultant radiologist at Whittington Hospital; a member of the BMA Council and of the BMA ethics committee; and a board member of Dignity in Dying. The talk makes many excellent points – especially in covering why it is so difficult for the BMA to change its approach on assisted dying. Policy is decided by an annual conference of only 300 people. The BMA have so far refused to hold a ballot of all their members on whether to adopt a neutral position on assisted dying. MDMD strongly endorse Jacky’s calls for the BMA to hold such a vote. One really positive suggestion Jacky put forward was with the practicalities of doctors working with an assisted dying law. She estimated that, extrapolating from the situation in Oregon, each GP practice would expect to see one patient who wanted as assisted death every 7 years. GPs might reasonably be concerned that they wouldn’t know how to deal with such rare events. Jacky suggested regional teams of trained experts who GPs could work with. 2. Dr Michael Irwin – When will MARS (Medically Assisted Rational Suicide) land on the UK? Michael was Medical Director of the United Nations; chairman of the Voluntary Euthanasia Society prior to it changing its name to “Dignity in Dying”; and a past president of the World Federation of Right-to-Die Societies. He founded the Society for Old Age Rational Suicide in 2009 and was its coordinator until 2015, after which it was renamed “My Death, My Decision” (MDMD). Michael is a patron of MDMD. Michael discussed some different approaches to defining “terminal illness”, contrasting a GMC reference to “dying over the next 12 months” to the Oregon Bill’s 6 months, and the situation in Scotland where a recent change to benefit legislation replaced a 6 month “terminal illness” criterion with an evaluation by doctors on a case by case basis without requiring an estimate of life expectancy. Michael pointed out that there is currently uneasiness in Oregon over their 6 month criterion with moves to expand it to cover longer term degenerative diseases. These are two very experienced campaigners, both with a strong medical background. It is fascinating to hear both the common ground and the differences in their views. From MDMD’s perspective Jacky’s defence of the 6 month criterion does not stand up to serious scrutiny, although it may be a realistic political compromise in the UK and elsewhere in the short or medium term. We recognise that is has provided an important option to millions of people around the world – which we in the UK do not have. However, dismissing the difficulties of accurately giving a life expectancy prognosis as a “straw man” seems too simplistic. Even without the moral dilemma of assisted dying, Scottish doctors found the criterion unacceptable and successfully pressed for this to be removed as a criterion in benefit assessments. If this is the case for benefit assessment, why not also for assisted dying? Even more importantly, MDMD fully agrees with Jacky’s statement that the people who should be allowed access to medical assistance to die are “… people who want to live as long as they can, until they don’t want to any more”, (when this is due to the intolerable and incurable medical conditions they face, which even the best palliative care cannot alleviate). But Jacky’s description includes high profile cases like Tony Nicklinson, Debbie Purdy, and Omid T. None of these people could be helped by the Oregon-style law she advocates. In addition, some of those in early stage dementia fit her description, while they retain mental capacity – people like Alex Pandolfo who plans to go to Switzerland to end his life when his condition becomes unbearable for him. They face the later stages of dementia when mental capacity will be lost, but are also ineligible for help from an Oregon-style law. Dementia is now the cause of 1 in 8 of all deaths in England and Wales – and nearly 1 in 4 deaths of women over 80, according to the latest ONS data. In her final interview, in December 2014, Debbie Purdy, who worked closely with Dignity in Dying in her campaign work, said “I think Lord Falconer, in saying that if you’re within the last six months of your life, misses the point that Tony Nicklinson, myself, Paul Lamb – the people whose cases have all been public – all have to face decades of a life that we don’t consider acceptable, and that is the thing I find hardest.” Michael Irwin, together with MDMD, Friends at the End and Humanists UK, very clearly support Debbie’s point of view. Jacky Davis failed to explain why she advocates an approach which wouldn’t help people like Debbie, while at the same time arguing for “people who want to live as long as they can, until they don’t want to any more”, to have the option of a medically assisted death, which is just what Debbie wanted. With this approach, we expect that Jacky will continue to hear the views she described from her audience in Gloucester. The post Videos from Healthcare and Secularism 2018 Conference appeared first on My Death, My Decision. 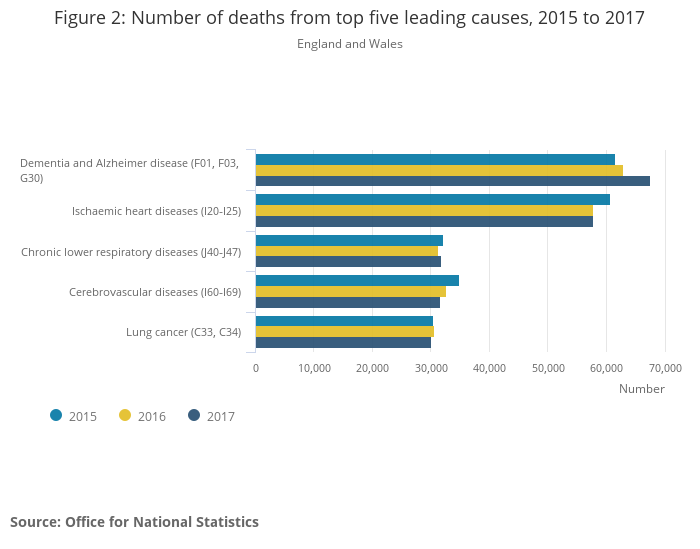 The Office of National Statistics has recently published data on cause of death in 2017. For the third year running Dementia and Alzheimer’s is the leading cause of death, and the trend is increasing. We have been monitoring this significant trend since it was first reported in 2016. See our previous reports on the 2016 and 2015 data. The report breaks the data down by gender: “Dementia and Alzheimer disease remained the leading cause of death for females in 2017, accounting for 16.5% of all female deaths, an increase from 15.6% in 2016.” For men the leading cause of death is ischaemic heart diseases, accounting for 13.7% of male deaths. People are living longer and surviving other illnesses. Dementia and Alzheimer disease mainly affects people aged over 65 years. Better understanding is likely to have led to increased levels of diagnosis and a higher incidence of identifying Dementia and Alzheimer disease as the primary cause of death on death certificates. The way in which cause of death was coded was changed in 2011 and 2014. This increased the number of deaths attributed to dementia. The post Dementia and Alzheimer’s still increasing as leading cause of death appeared first on My Death, My Decision. The BBC reported the inquest into the death of Beryl Taylor(70) who died in Rattlesden, Suffolk, in July 2016. The case is also reported in more detail in the East Anglian Daily Times. Mrs Taylor’s husband had been arrested on suspicion of assisted suicide, and later murder. He was subsequently released. The coroner made a legal conclusion of suicide and that she had made the decision of her own free will. The court heard that after police investigation and consideration by the Crown Prosecution Service, it was decided it would not be in the public interest to proceed further. This appears to be in line with the Director of Public Prosecutions guidelines on assisted suicide. It is not clear why the possible murder charge was considered and later dropped. The DPP guidelines apply to assisted suicide but not to the even more serious offence of murder. The case is interesting as the couple clearly researched and discussed the situation carefully before Mrs Taylor took her life and even agreed to take the unusual step of making a video recording of a statement by Mrs Taylor, and her suicide. Mr Taylor cooperated fully with the police, having anticipated their investigation. This behaviour, accompanied by the video evidence, no doubt helped the police immensely in their investigation, and perhaps helped ensure that charges were not pressed. Detective Sergeant Michael Gwyn told the court that when police officers arrived at the Taylor’s house they were given a ‘do not resuscitate’ notice by Mr Taylor. It is interesting that DS Gwyn told the court that “… on reviewing the camera evidence he was arrested on suspicion of murder”, yet this charge was later dropped. The case seems to show that it was a combination of incurable medical conditions which reduced Mrs Taylor’s quality of life below the level she could accept. The NHS website says “although there’s currently no cure for fibromyalgia, there are treatments to help relieve some of the symptoms and make the condition easier to live with.” However, when coupled with other conditions, Mrs Taylor found her condition impossible to live with. Mrs Taylor clearly felt as though she had no other option than to end her life. She did so in the knowledge that her decision could result in her loving husband serving a prison sentence. Her decision raises a number of unanswered questions: Would Mrs Taylor have delayed her death if a medically assisted option existed? Would an open-minded counselling session have dissuaded Mrs Taylor from ending her life? Would better care, (despite her husband’s best efforts), have made her condition tolerable. In Mrs Taylor’s case these questions will remain unanswered. The primary witness is now dead. The opportunity has been lost. Doctors currently fear any conversation about assisted dying may open criminal liability, thus counselling is not currently a realistic option. Nor, as a recent report found, are doctors given sufficient training to confidently engage in difficult conversations about death. Our current system is demonstrably unsafe and lacks sufficient compassion. This case echoes concerns expressed about other cases where people have ended their lives themselves or with the help of others, cases like pharmacist Bipin Desai, Ian Gordon and Sir Nicholas Wall for example. The law needs to change to prevent more tragedies like these. The post Video Evidence helps in Rational Suicide Inquest appeared first on My Death, My Decision. MDMD’s Campaigns and Communication Manager, Keiron McCabe, breaks down the judgement behind Omid’s defeat. On Tuesday 2nd October 2018, Omid T’s assisted dying case , known as R (on the Application of T) v Ministry of Justice  EWHC 2615 (Admin), lost at its first hurdle in the High Court. In order to challenge the UK’s prohibition of assisted suicide, it was necessary for Omid to bring a judicial review. This is the process in which the courts appraise the validity of a law based on a number of strict criteria, one example being a disproportionate infringement of the Human Rights Act 1998. Omid’s legal team argued because terminal and incurably suffering patients cannot access an assisted death, their rights to a private and family life were infringed and Section 2(1) of the Suicide Act 1961 must be declared incompatible with Omid’s human rights. In some respects this meant that Omid’s case was similar to Tony Nicklinson’s 2012 case , though different from Noel Conway’s current appeal which only focuses on the rights of terminally ill patients. However, prior to its ruling, Omid’s case had acquired a considerable interest from the legal community because of its unique evidenced-based approach. Usually judicial reviews do not deal in evidence. It is assumed a review is merely on a matter of law as the facts are agreed in advance. 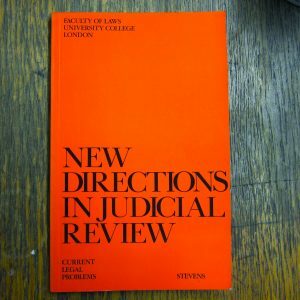 Indeed the UK’s civil procedure rules, the rules which guide conduct in the courts, make no mention of evidentiary rules such as cross-examining witnesses for judicial review – it is a rarity, granted only at the discretion of the courts. 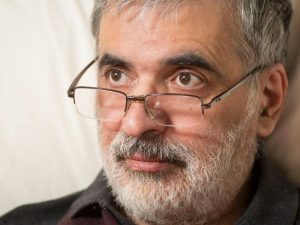 Considering the profound implications such an approach would have had on the right to die in the UK, the courts decided before commencing a full 3-4 week examination of the evidence, Omid had to prove that his case should be granted the rare discretion to cross-exam witnesses. However, it was agreed since the Court of Appeal may hear relevant issues whilst it was separately dealing with the Conway case, that the High Court would not pass judgement on the Omid case until afterward Conway. Last Tuesday, Lord Justice Irwin, with whom Mr Justice Phillips agreed, ruled that Omid’s legal team did not have permission to cross examine the main witness, Baroness Finlay, and the case therefore could not progress to a full judicial review. Omid’s ruling itself was somewhat complicated by the Conway case, as it was held that the evidence in the two cases “overlapped in great measure” . Indeed, Lord Justice Irwin went further and foundthat even though Conway’s case only focused on terminally ill patients, there was not a “material distinction” in the evidence between Conway and Omid’s appeals. This was because the evidence used for Omid’s appeal included information about jurisdictions in which assisted dying is only legal for those who are terminally ill and not both terminally ill/incurably suffering. Additionally, Paul Bowen QC conceded, that following Conway, the evidenced-based approach of Omid could not succeed because the High Court would be “bound to find against [Omid]”. However, even disregarding that concession, Lord Justice Irwin stated that he would have “reached the same conclusion in any event”. He further stated that he did not have “any clear idea what…would be gained by oral evidence”, as opposed to second hand evidence such as published reports, and concluded “…the factual foundations for the views of various experts are either already clear, or can be clarified…based on written material…Mere differences of opinion or judgement will be evident from the existing reports and should not be the subject of further exchanges”. As a final matter, Omid’s lawyers argued that even if their evidenced-based approach was bound to fail, the terminal-incurable distinction between Omid and Conway’s cases meant that Omid faced a strong chance along a more traditional judicial review route. Hence they requested for Omid’s case to be “leapfrogged” to the Supreme Court. This would mean, that instead of having to appeal to the Court of Appeal and then to the Supreme Court, Omid’s case could have been heard directly by the most authoritative court in the UK. However, Lord Justice Irwin considered this request to be “premature” and decided that Omid’s legal team could not start asking for their case to progress before it had even been given judgement. Lord Justice Irwin offered a glimmer of hope by suggesting that if the team wanted to continue, he would “do what is possible to facilitate speedy hearings for any further applications”. However, this prospect is very unlikely given that Omid sadly ended his life(link to previous Omid ends life article) at the Swiss Lifecircle clinic 5 days before the court gave its judgement. Omid’s case is therefore without a claimant, and its future is unknown. Lord Justice Irwin’s reluctance to grant Omid an evidenced based review, though disappointing, is understandable. The High Court is a relatively junior court in the UK judicial hierarchy and at the most senior level, Assisted Dying has proven itself to be an issue of immense complexity for the Supreme Court. Hence it is understandable, faced with such a momentous decision, the High Court erred on the side of caution. However, My Death, My Decision does not think the High Court reached the correct conclusion. In 2017, before she was recently appointed to the Supreme Court, Lady Arden, delivered an excellent speech on the issues of patient autonomy and medical law. In that speech, Lady Arden recognised that sometimes, on issues of particular importance, the UK courts may have additional responsibilities in conducting a judicial review. She said when a topic is so important, as Assisted Dying is, that Parliament will likely look to the courts, for some assistance, the courts may be required to examine information “in greater detail than it would have done before … and [deliver] a special type of judgement”. Similarly, in a 2015 case , decided above the High Court in the Court of Appeal, Lord Justice Lewison said that if the “justice” of a special case required a fuller examination of evidence, a court may permit the use of cross examination within judicial review. Reflecting on these statements, it is clear that the ethical and moral implications of Assisted Dying mean it is a topic of special importance. Assuming that Parliament will turn to the courts for help, the justice of Assisted Dying must require our courts to conduct an investigation on fullest possible terms. Cross examination is a necessary part of that greater investigation. Unlike carefully crafted statements, cross examination is a candid process. For example, an expert who presents evidence may be sensitive to avoid inconvenient or inconsistent information within a written statement. Yet, when an expert is asked to confront their own inconsistencies or to address moot issues which may undermine their argument, such problems cannot so easily be avoided. Alternatively, those who support the Omid ruling could argue that a good lawyer should spot these inconsistencies anyway and could bring them to the attention of the court themselves. Yet, Lord Irwin rightly said this approach would not be good. A good lawyer will only ever be able to spot such problems due to advice from a different expert and judges already know such differences of opinion between experts. Additionally, judges are shrewd professionals and are well trained to listen skeptically to the arguments of good lawyers. However, they may be more willing to defer to the credentials of an expert. Cross examination is therefore an important tool to assess the strength of an experts evidence. Whilst lawyers may, to some extent, be capable of clarifying issues, they will never speak with the same authority as someone can about their own evidence. My Death, My Decision believes any debate on Assisted Dying should be based on the fullest of evidence available. Whilst Omid’s case may be disappointing, it was not brought in vain. Omid highlighted the intellectual inconsistencies in advancing a right to die merely for those with a terminal illness. Moreover, if nothing else, the ambition of Omid’s approach may yet bear fruit, as if Conway moves to the Supreme Court and Lady Arden is sitting, a fresh opinion on the value of an evidenced based approach may yet still be possible. The post The Omid T Judicial Review: “Bound to be Dismissed”? appeared first on My Death, My Decision. We held a very successful conference at the start of September. Speakers included Dr Naomi Richards, Dr Lonny Shavelson, Professor Celia Kitzinger, Adrian Ward and Mark Hazelwood. Copies of presentations can be found below. Ahead of the conference Dr Shavelson spoke with BBC Radio Scotland. You can listen again to this here. The conference was chaired by Rev Scott Mckenna who opened the conference by talking about assisted dying within a religious context. The Rev McKenna also spoke about the need for compassion at the end of life and that the move away from a paternalistic approach means we need to listen to each other about our wishes to ensure we have a good death. Those who attended the conference heard about how Medical Aid in Dying worked in California, about the need for Advance Directives and what Incapacity means in Scottish Law. The post Conversations about Death and Dying Report appeared first on Friends at the End. It is with great sadness that we hear of Omid’s death at the Lifecircle assisted dying clinic in Switzerland today. Omid T was awaiting judgment from the High Court on his legal challenge seeking a change in the law on assisted dying, challenge which was supported by Friends at the End. Whilst a relief to know that Omid is finally at peace and that he died on his own terms, the frustration and injustice of his death in Switzerland is profound. Omid, who our CEO Amanda Ward met on a number of occasions was witty, funny, charming and friendly to everyone he came across. He was also a very sick and profoundly disabled man, who should not have had to leave his home, the UK, to travel abroad to get the relief he so craved. We are convinced that if our politicians experienced the pain and suffering Omid, his family, and the hundreds of others who have travelled abroad for a peaceful death have had to endure, they’d not want that for themselves or any of our citizens. We are past the point of turning a blind eye – elected representatives must listen to their constituents, the overwhelming majority of whom support a safe controlled UK assisted dying law and act now. Omid was a kind, compassionate, charming character – he’d already been through so much with his illness and he deserved better than having to take matters in to his own hands. The post Friends at the End Mourns the Death of Omid T appeared first on Friends at the End.